The following is my statement of support for the Flood Wall Street activists who, after their arrest, refused a plea deal and moved forward with a necessity defense in the New York courts. This message was read to the defendants at their trial lunch break by Rev. Billy. The Flood 11 represent the cutting edge of the climate justice movement, and they deserve our respect and support. 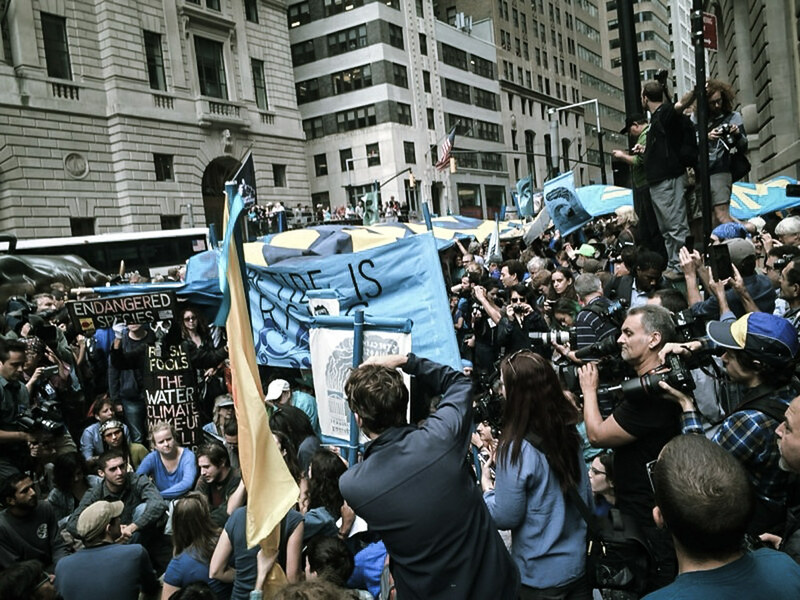 As part of Flood Wall Street, their action highlighted the important systemic connections between capitalism, the corporate control of government, and the climate crisis. They helped focus national attention on the structural nature of a crisis that demands revolutionary structural changes. Their action used people power, creativity, music and beauty to nonviolently send the message that to truly combat climate change, we need to dismantle the power structures of oppression. "It is especially encouraging that the #Flood11 did not let their civil disobedience end with a mere photo-op. They are taking their case to trial to continue demonstrating the necessity of drastic action to respond to the climate crisis. Since our corporate-controlled political leaders have failed to hold Wall Street and fossil fuel executives accountable in court for their “disorderly conduct” on a massive scale, the #Flood11 are risking their own security to force this issue into the courtroom. In a world where a tiny elite can prevent the solutions necessary to defend our civilization, there is nothing disorderly about committed nonviolent resistance to that economic and political injustice. The very necessary actions of the #Flood11 are an example to our movement, our leaders, and our society, and I hope more will follow in their footsteps.